HOW TO CARVE: A JACK-O-MELON BAT! - What About Watermelon? You are here: Home / Watermelon Carving / HOW TO CARVE: A JACK-O-MELON BAT! HOW TO CARVE: A JACK-O-MELON BAT! It is with a heavy heart that I announce that this will be my last watermelon carving of the season. Maybe. The absence of full-sized watermelon in grocery stores during the fall and winter makes carvings a little challenging. Sure, I can still use the mini watermelons that are stocked year round – and I may do that if I’m feeling particularly inspired – but I also like to take a little time off from carving to recharge my inspirational batteries and sharpen my knives. And now, on with the final carving of the season. Halloween is only a month away, which means a lot of folks will be slicing and dicing pumpkins in about two weeks. 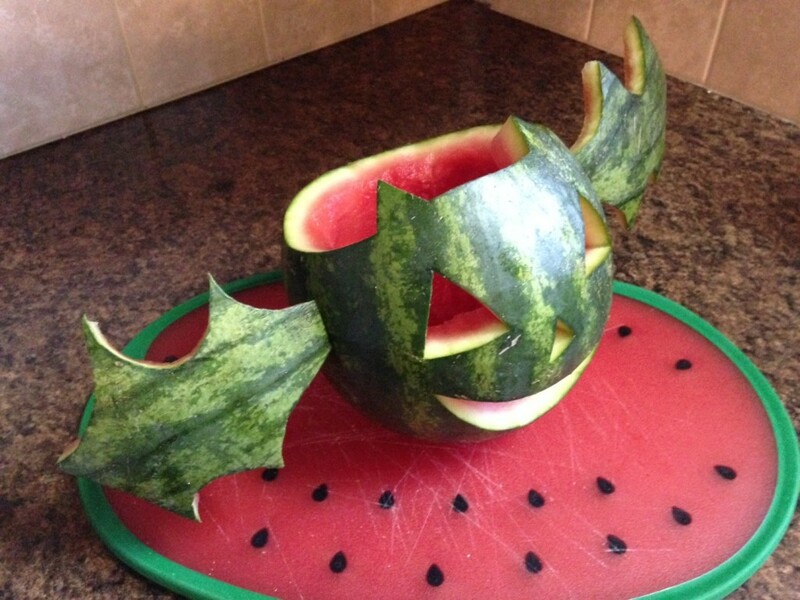 That’s fine, of course, but my challenge to you is to think outside the gourd by carving a watermelon instead. This funny little jack-o-melon bat will do exactly that. 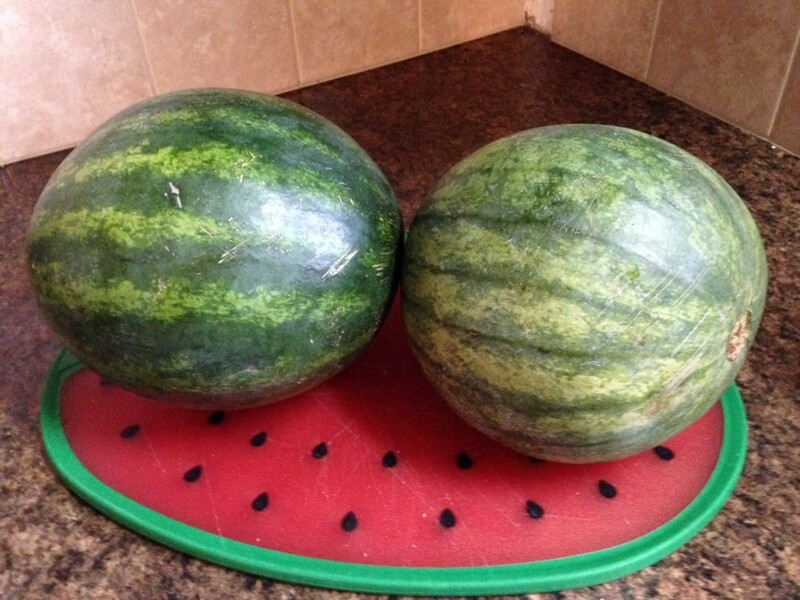 Bonus: If you can’t find regular-sized watermelons in your store, the mini watermelons will do just fine! 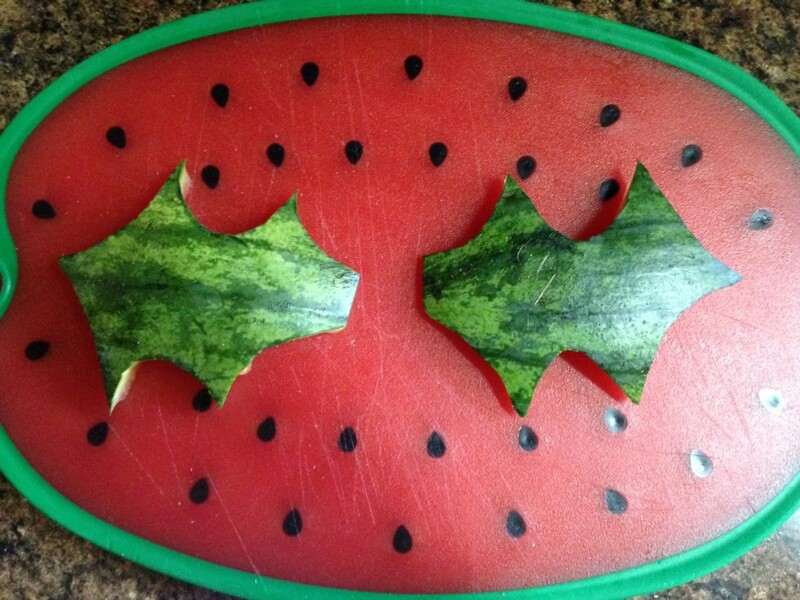 Start your watermelon bat with two small or mini watermelons. As always, make sure you give them a good cleaning before the cutting begins. Next, you’ll need to cut off the top — just like you would with a pumpkin — but add two little bat ears. 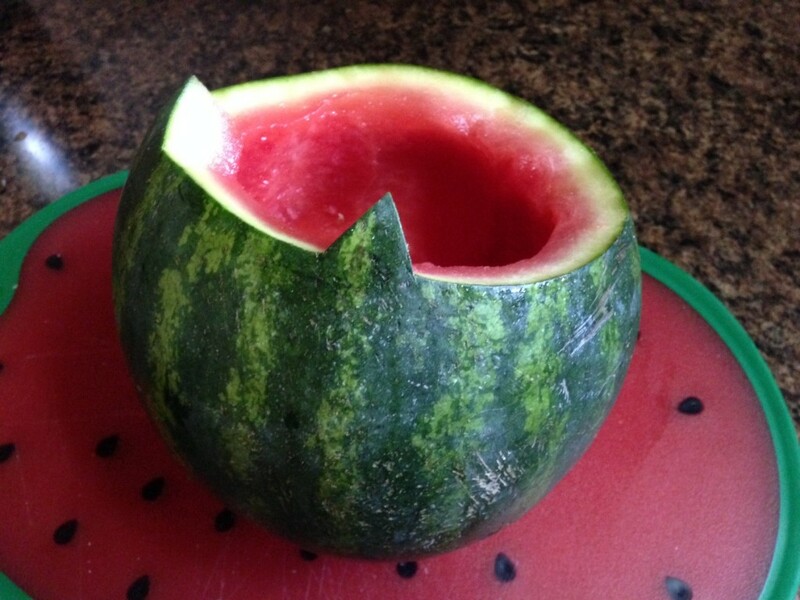 With the top removed (no need to keep the top), scoop out the watermelon flesh inside. To create your bat wings, hollow out the second watermelon and carve two pieces of the rind into shapes that resemble something a bat might like to have as wings. Leave one side of each wing flat. This is the side that will be stuck to your bat body in the final step. Using two toothpicks on each side, stick your wings on your bat body and then you’re done! You can put a little candle in your bat to give him a spooky glow or use him as a serving dish by lining him with plastic wrap and filling him up with fruit. Thanks, Jmar! It turned out a little better than I thought it would.